White Oaks Elementary fifth-grader Michael Jarvis says he likes science because “you can test different things and figure out quite a few interesting things.” There is, however, one question he hasn’t figured out yet. 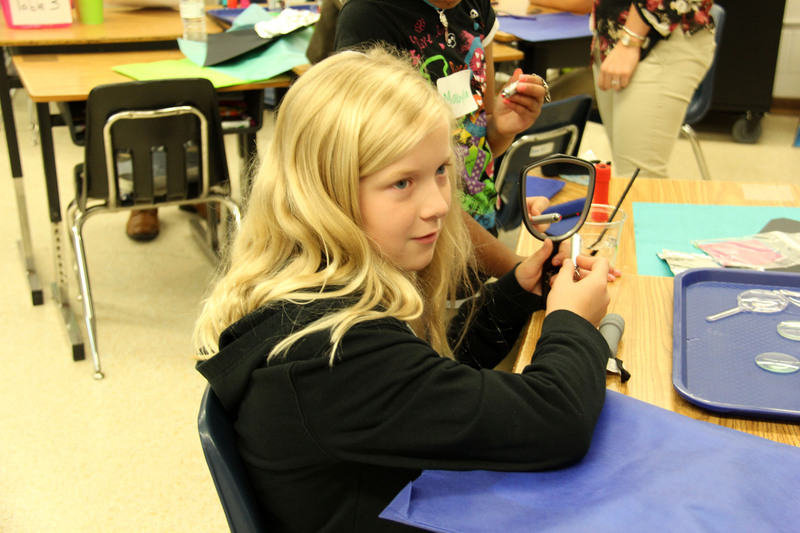 Wonder and awe were in full effect during the STEM-a-thon hosted at White Oaks Elementary Oct. 25. 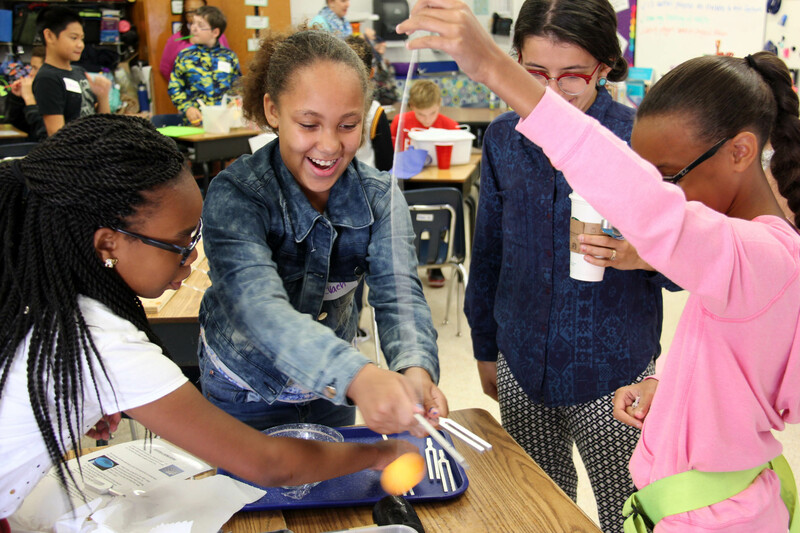 The peanut butter mystery may not have been solved for Jarvis but he and his fifth-grade peers had plenty of opportunities to investigate sound and light with activities aligned to their Standards of Learning (SOL) objectives. 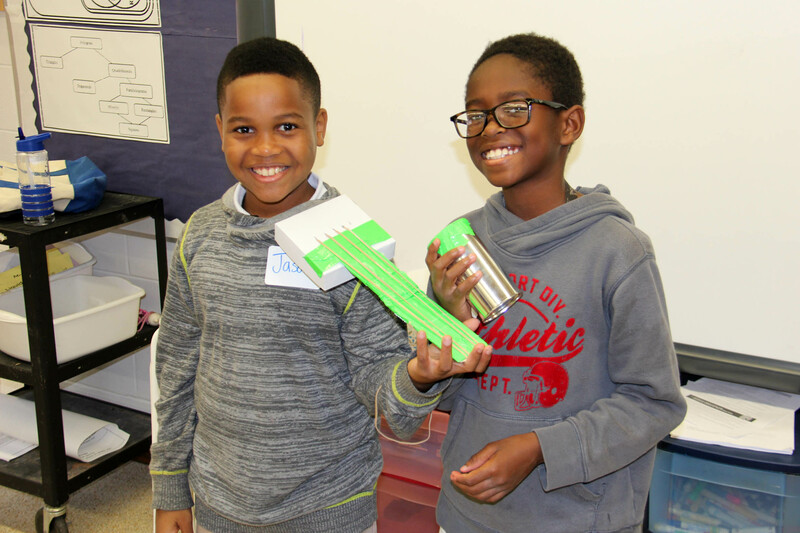 The STEM-a-thon was hosted at four elementary schools as part of Project G.R.I.T. 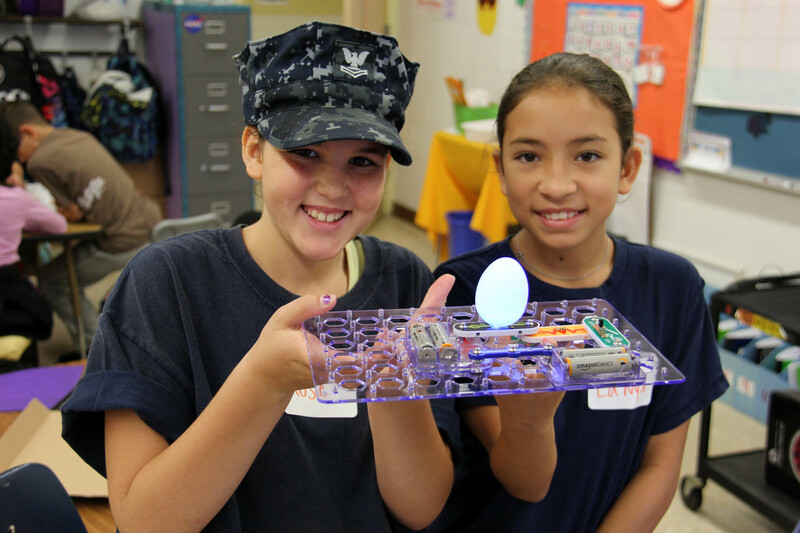 (Global Resilient Independent Thinkers), a $1.5 million, five-year grant awarded to Virginia Beach City Public Schools (VBCPS) by the Department of Defense Education Activity (DoDEA) Educational Partnership in 2016. 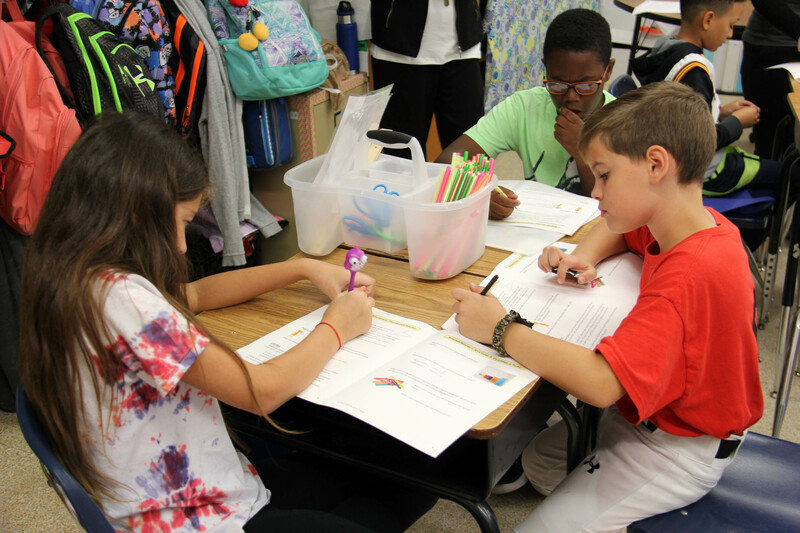 The grant supports STEM initiatives and social-emotional endeavors at seven schools: Centerville Elementary, Kempsville Meadows Elementary, Shelton Park Elementary, White Oaks Elementary, Kempsville Middle, Lynnhaven Middle and Bayside High. The division’s Office of Student Support Services selected the schools because of their percentage of military-connected students and a need for enrichment activities in the grant’s focus areas. 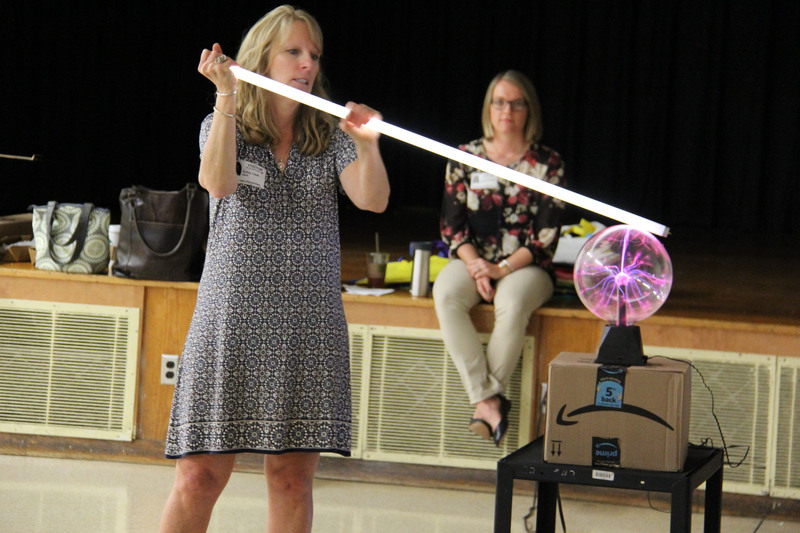 The focus of White Oaks Elementary fifth-graders during the STEM-a-thon’s opening session was on the plasma ball Kelley Clark brought with her from Williamsburg. “Does anybody know what’s inside this?” she asked. “It’s a ball with electricity,” said another. “It’s a plasma ball,” correctly answered a third student. Clark is the coordinator for the STEM Education Alliance in the College of William and Mary’s School of Education, with which VBCPS contracts to lead STEM initiatives associated with the grant. They will visit the grant’s secondary schools in the spring with STEM activities related to their SOL objectives. Clark continued to amaze students with the plasma ball, using thin tubes filled with different elements that would change colors. She saved the best – and the biggest – for last. “A light saber!” exclaimed several students. Students soon became the scientists, rotating through four classrooms for one-hour investigations on various topics related to sound and light. During their break for lunch, they spoke with scientists and engineers visiting from Naval Air Station (NAS) Oceana Dam Neck. In the room focused on the characteristics and properties of light, students learned about and experimented with refraction. 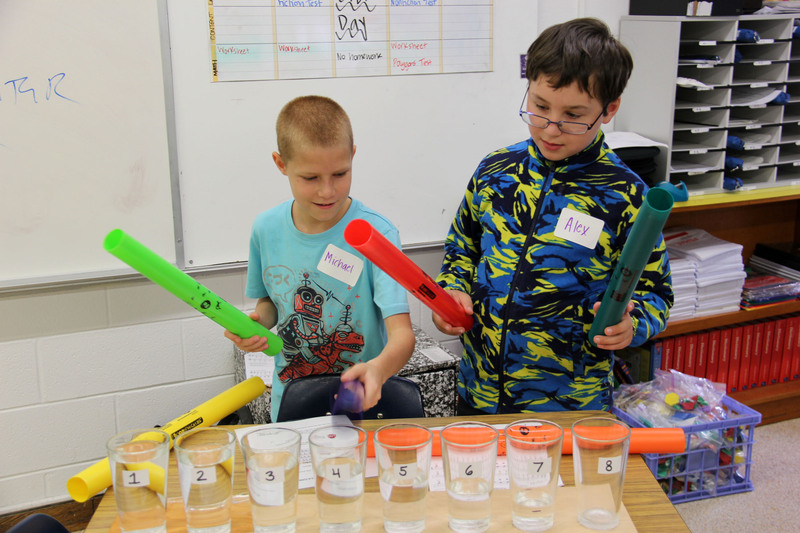 Down the hall, students studied sound using tuning forks, plastic straws, glasses of water, metal spoons and more. In the musical makerspace, fifth-graders Landon Bradshaw and Jason Hunt put to use the lessons they’ve learned this year learning how to play string instruments in the school orchestra. All smiles while working through the challenge, both fifth-graders agree their real string instruments will be easier to play. “They’re already made for us!” said Hunt laughing. Making working electronic circuits was the STEM project in the last classroom. 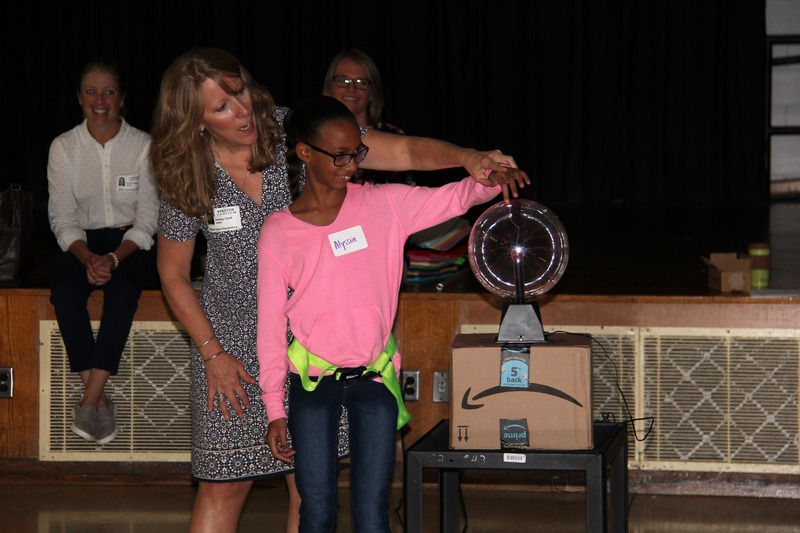 “What I like about this project is how you can see that it’s sound and also light, and there’s also many different experiments that you can do with all these tiny pieces that I never thought that you could actually do,” said fifth-grader La’Nya Burrow. 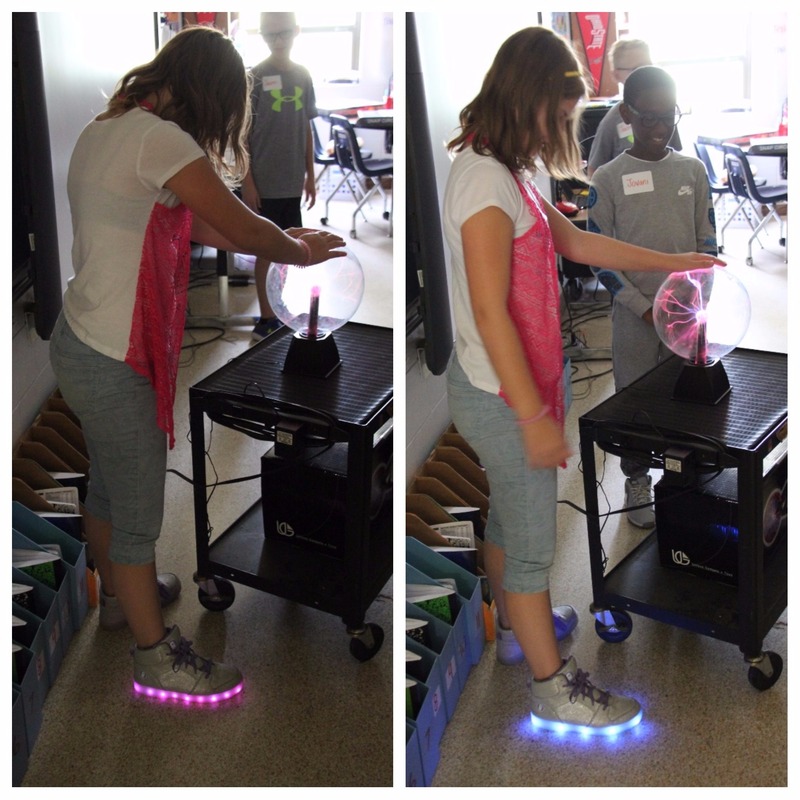 Emilee Hilliard, in the room with Burrow, also never thought her light-up tennis shoes would activate and change colors when she put her hand on the plasma ball, but that’s exactly what happened – to the amazement of her peers and teachers. They called over Clark from the room next door for an explanation but even she was stumped. The inquiry. The wonder. The engagement. It’s just what Clark wanted to see happen. The second goal is professional learning for the teachers who assist with activities throughout the STEM-a-thon. “We want them to see inquiry-based practices and we want the teachers to be focused on learning in the rooms,” said Clark. She met with teachers before the STEM-a-thon to preview the various stations and followed up after the event to discuss various questions. How did you see inquiry being used in that classroom? Could you do that? What was different about that than the way you normally teach? What did you see that would make successful stations? What would make them difficult to use? The students think it’s cool too. After every station, students kept track of their learning and notes in a handbook provided by the STEM Alliance. The teachers and students also get to keep all the materials brought in for the STEM-a-thon. It’s just the beginning of science exploration for Jarvis, who said he may want to work at NASA when he is older.